Heat oven to 400°F. Spray 15x10-inch pan with sides with Crisco® Original No-Stick Cooking Spray. Unroll dough in pan; prick dough several times with fork. Bake 8 minutes. Heat pork in microwave as directed on package; set aside. Spread preserves over partially baked crust to within 1/2-inch of edges. 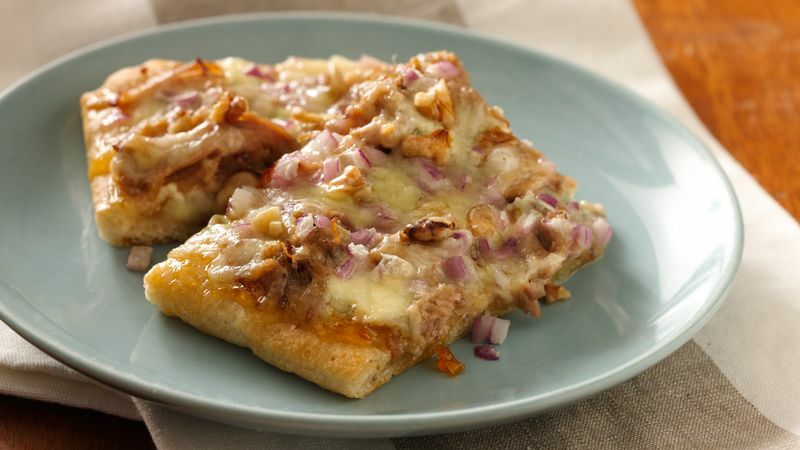 Top with pulled pork, blue cheese, Cheddar cheese and onion. Bake 8 minutes; top with walnuts. Bake 5 minutes longer or until crust is golden brown and cheese is melted.